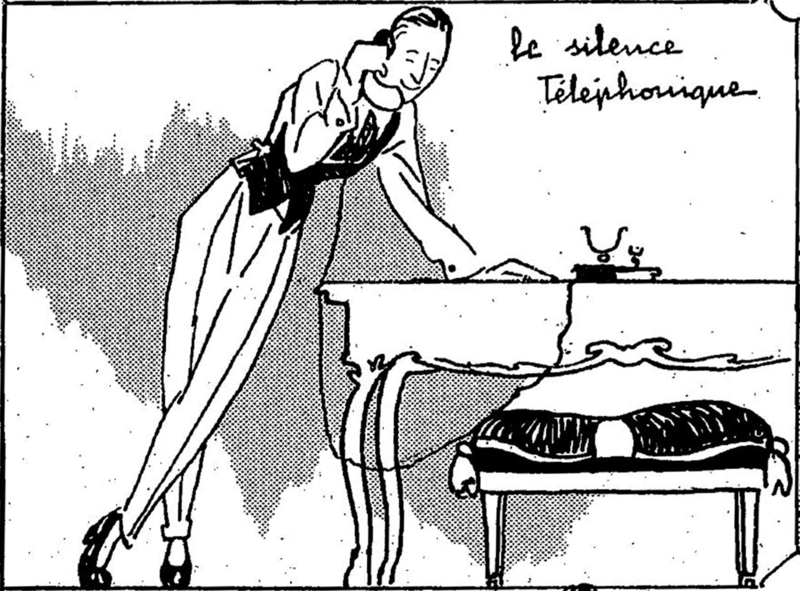 At first glance, we thought this was a centaur on the telephone. 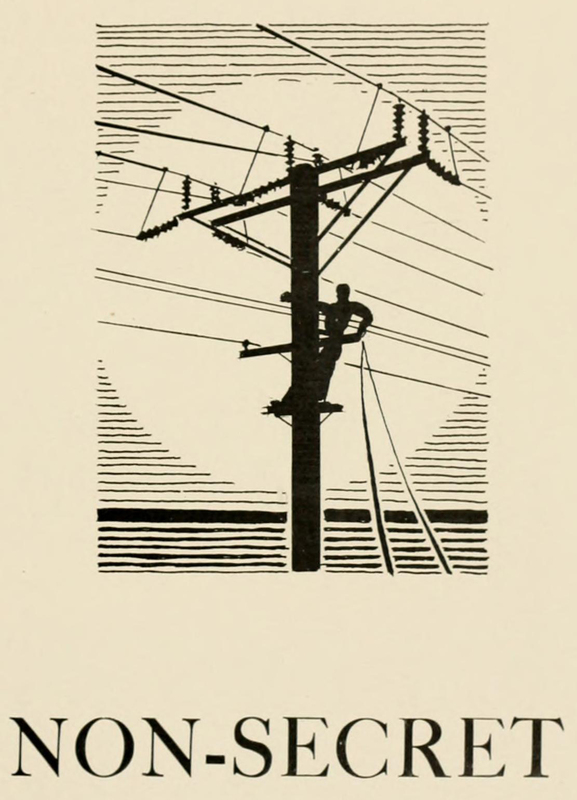 From the Wyoming yearbook of 1930. 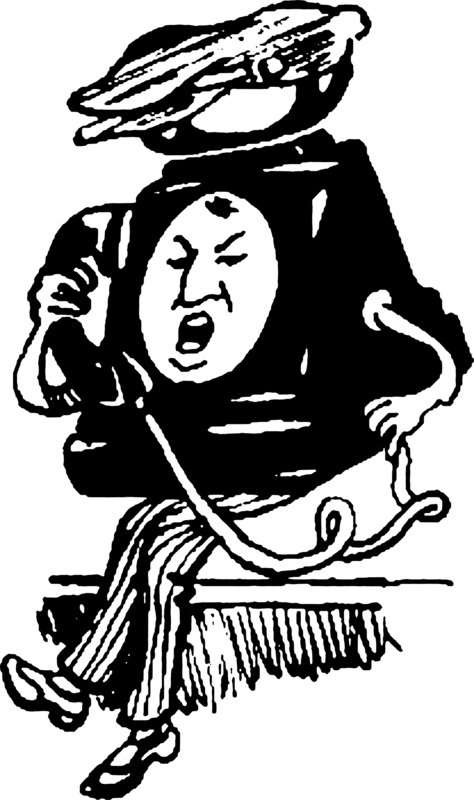 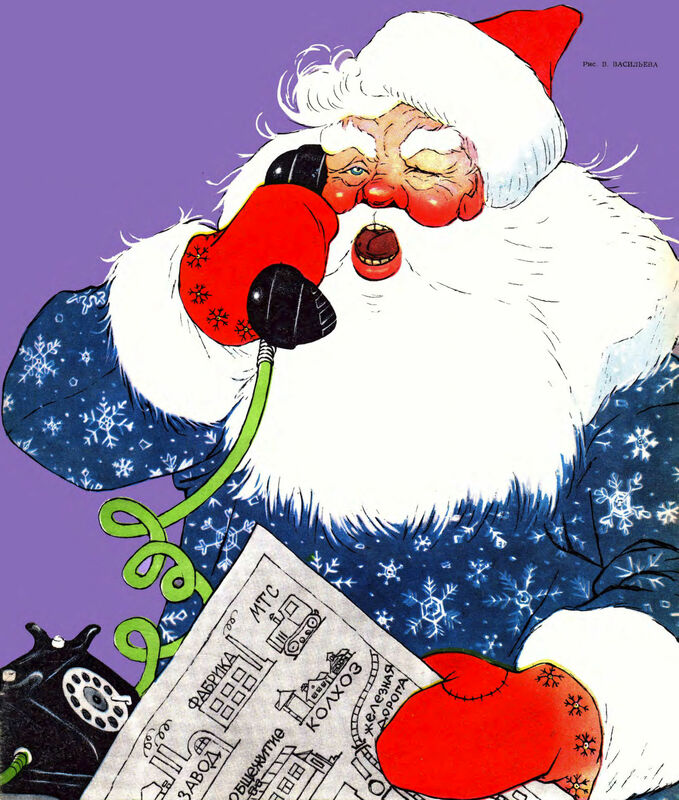 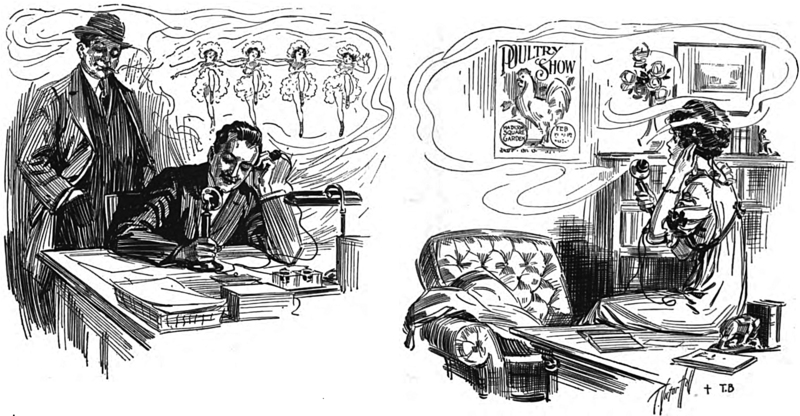 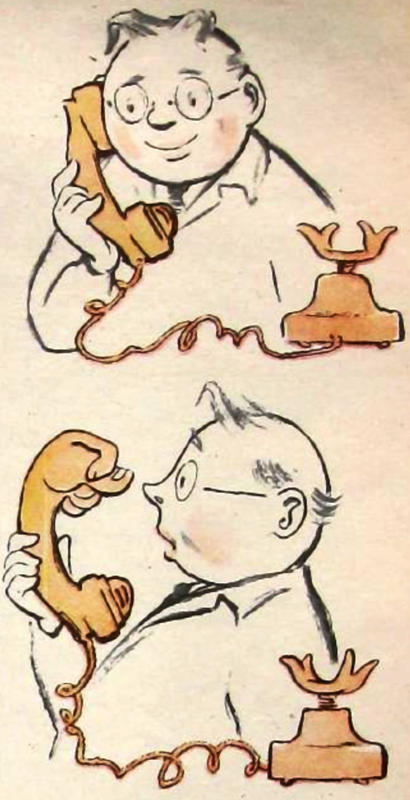 Which came first -- the telephone or the caller? 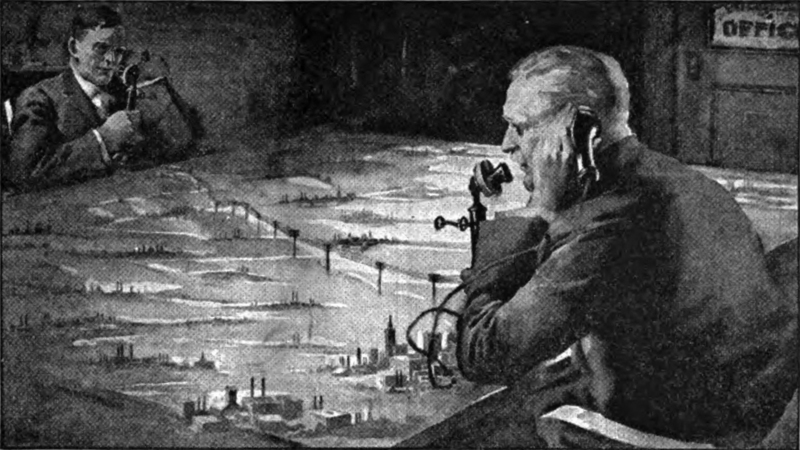 "Public telephone on an uninhabited island." 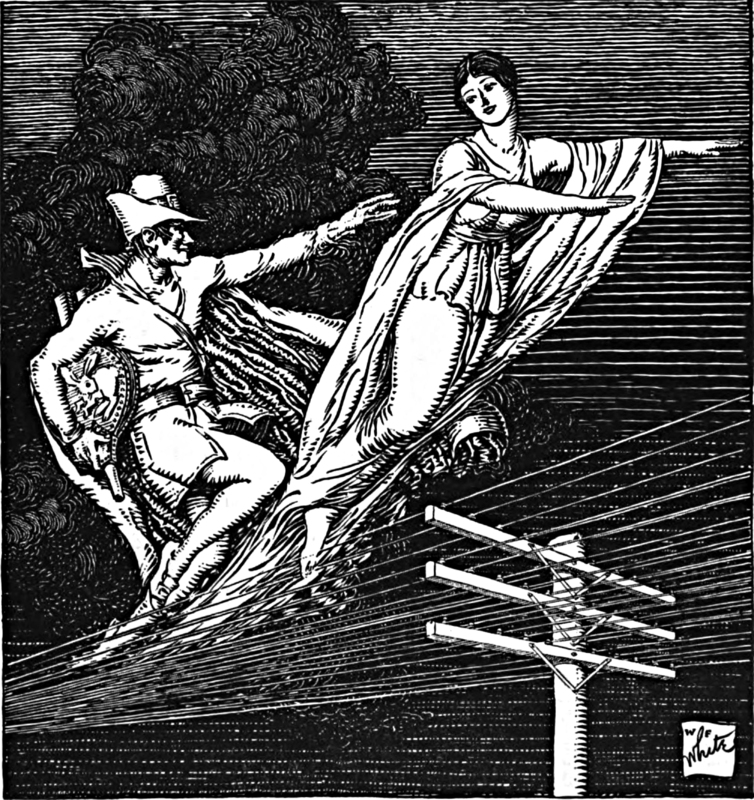 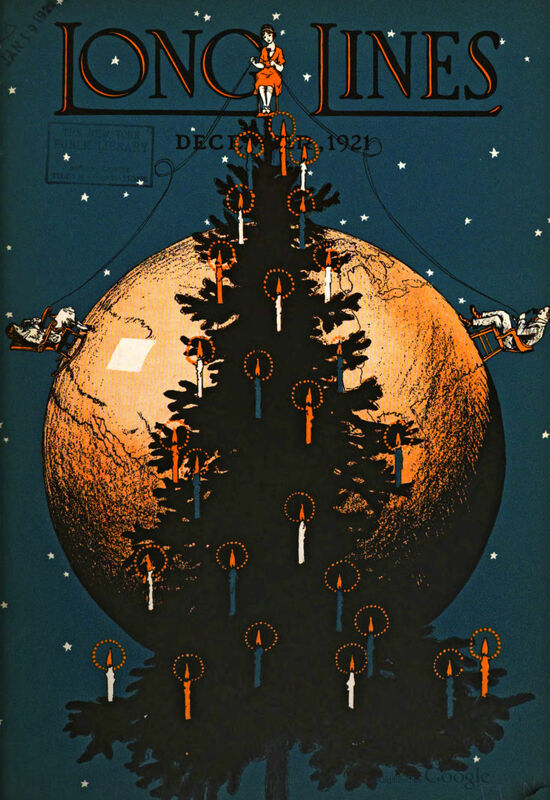 From Popular Mechanics, 1914. 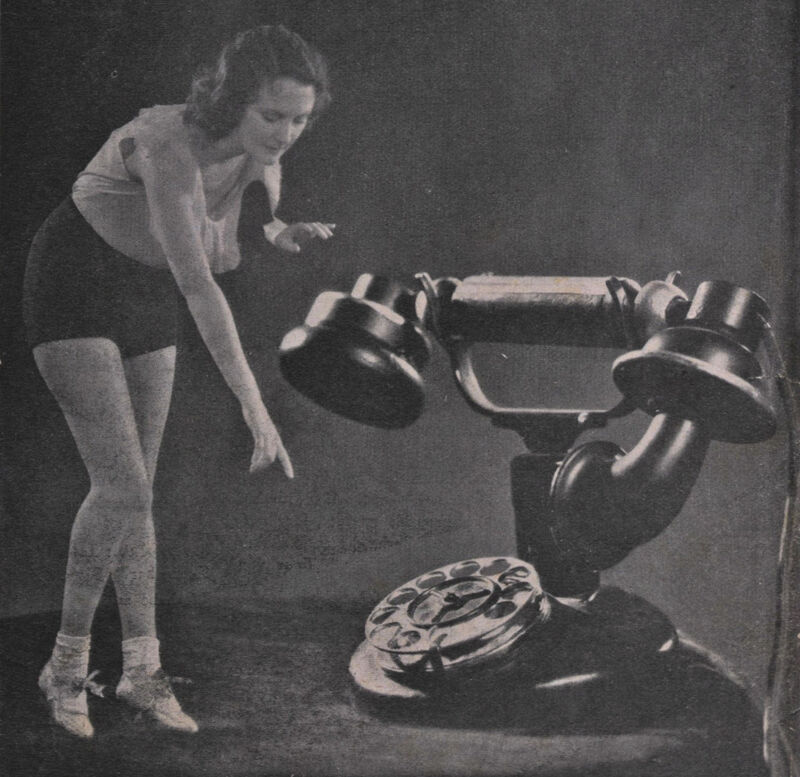 The shape of the phone has changed over the decades, but this ad from Popular Mechanics in 1934 was prescient. 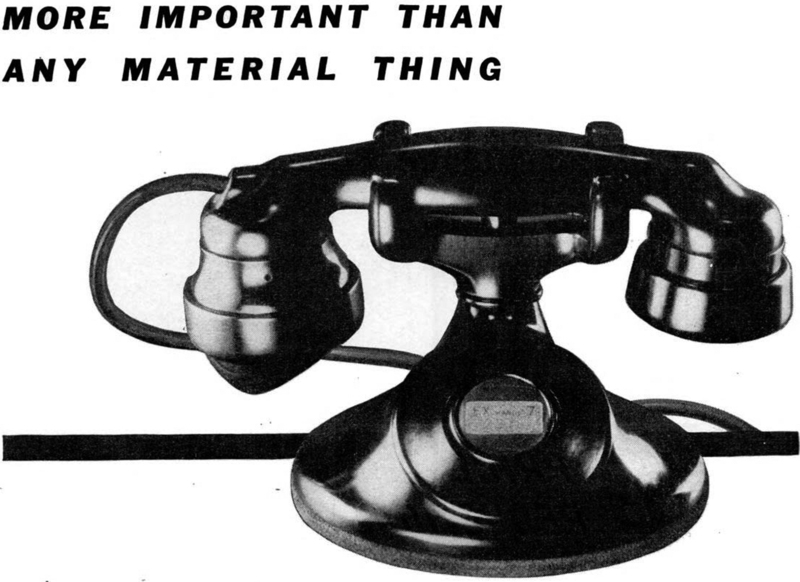 The text reads, "More important than any material thing." 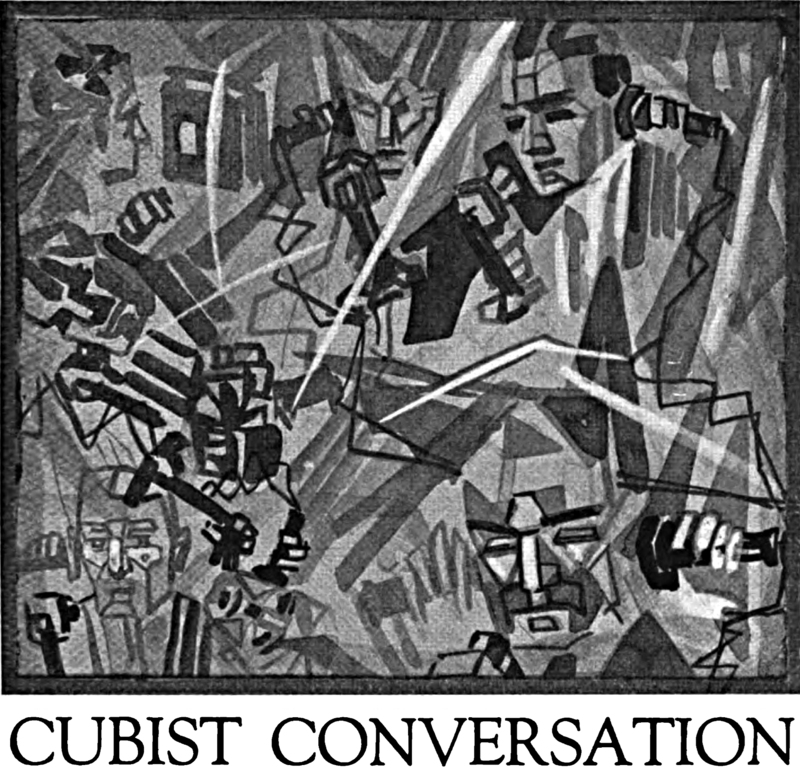 "Cubist conversation." 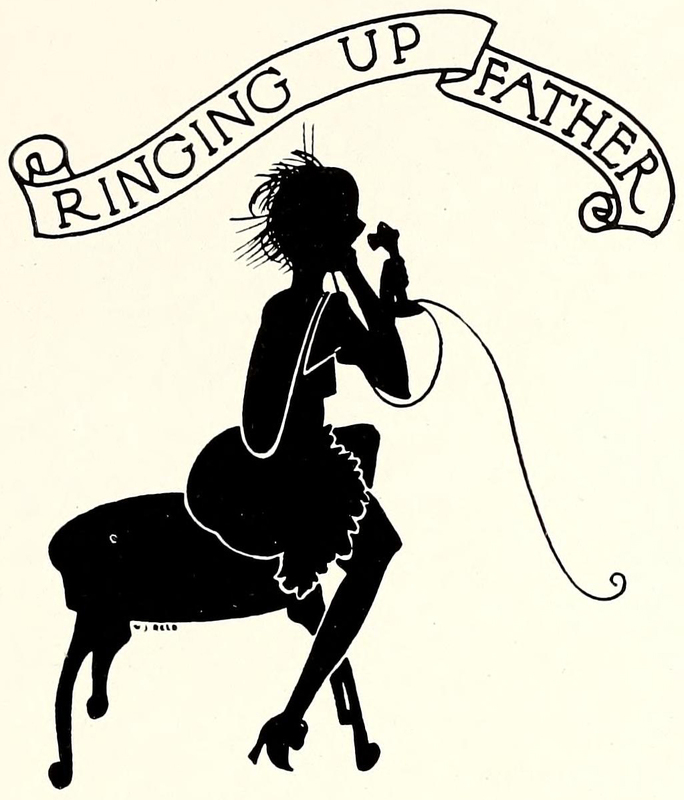 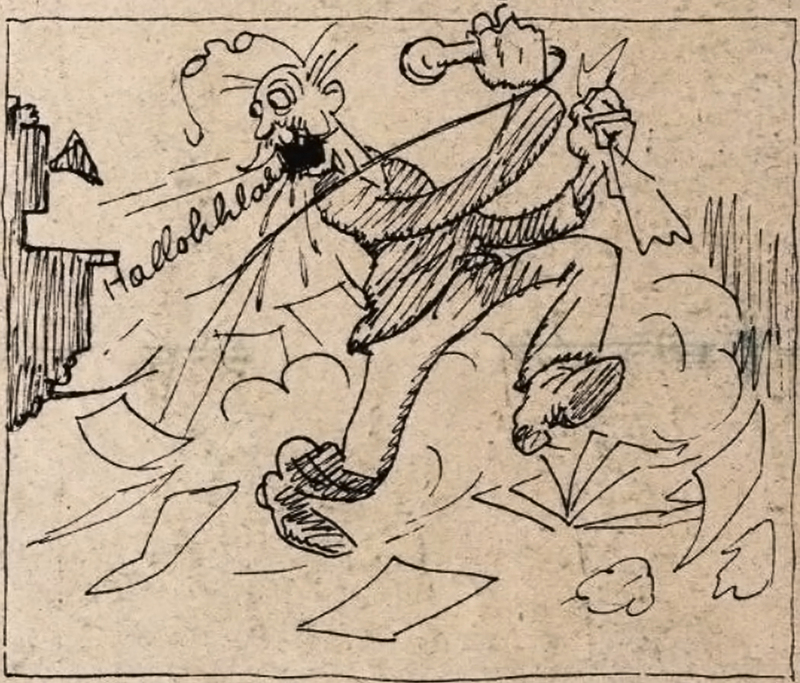 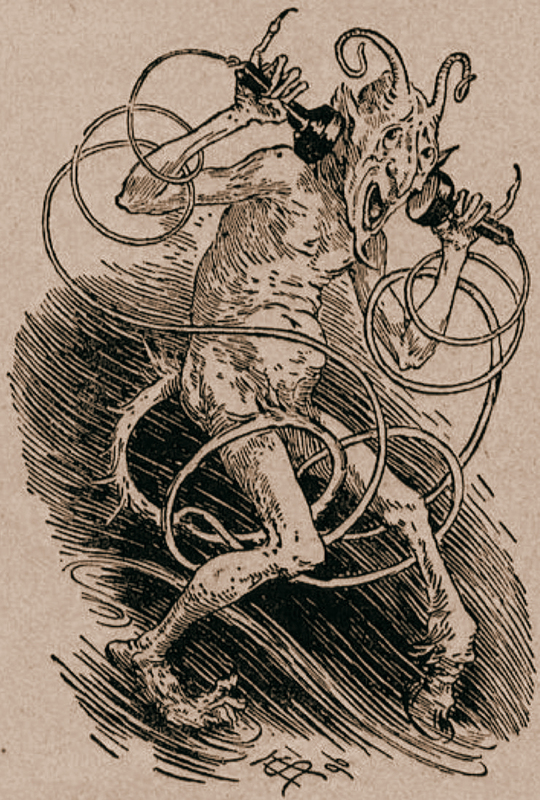 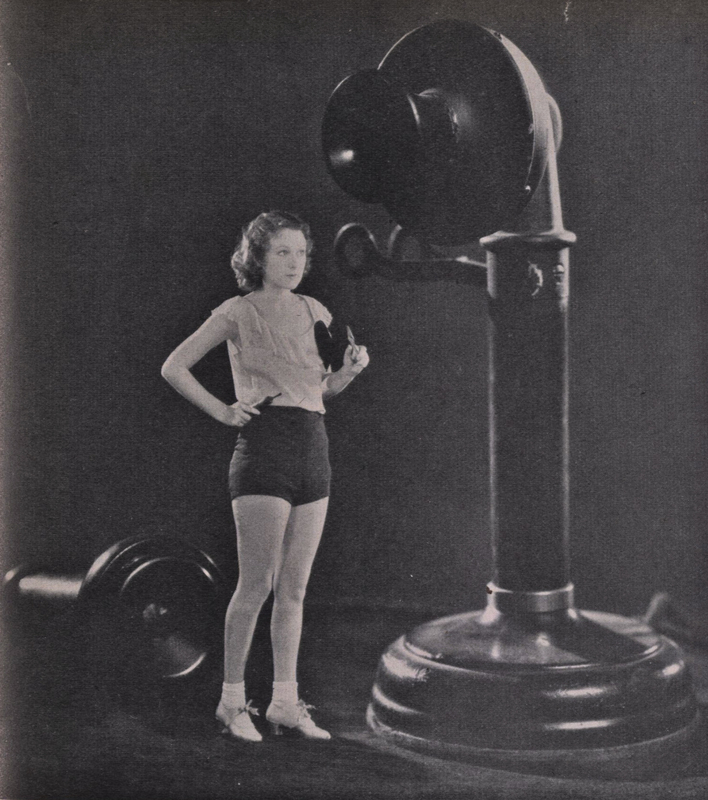 From Long Lines magazine, 1921. 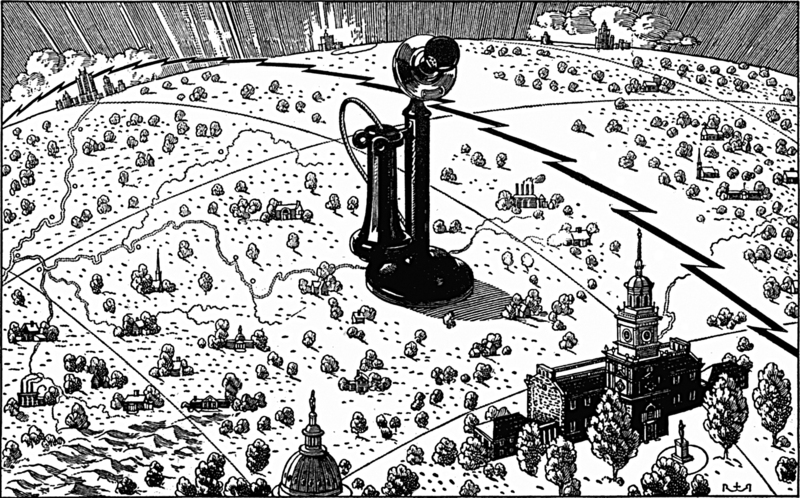 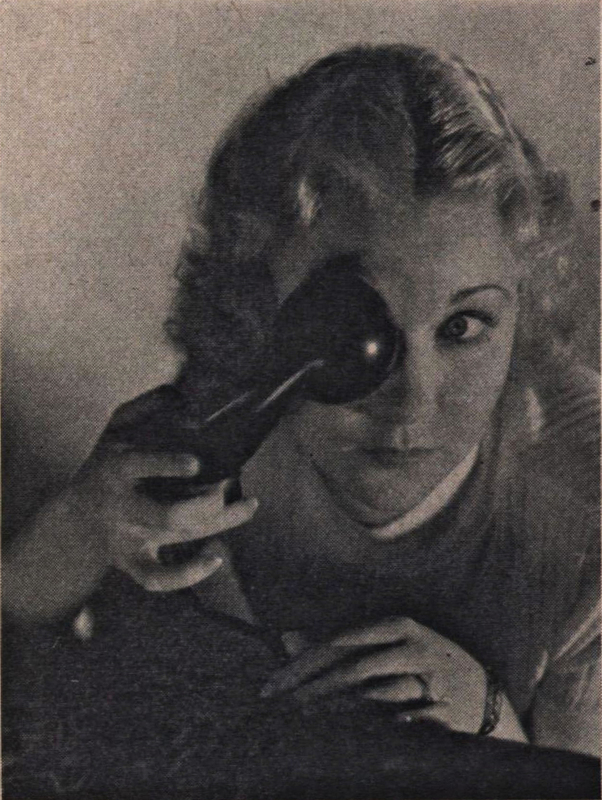 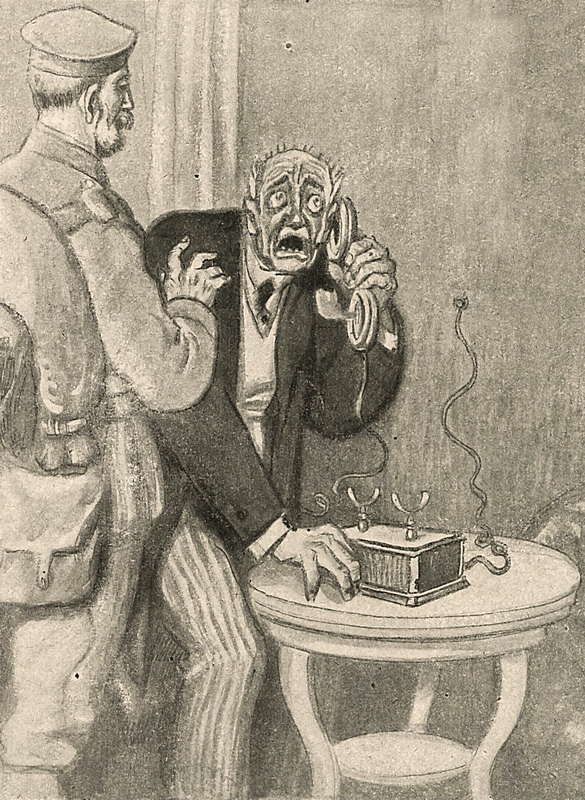 Here's a precursor to video conferencing -- looking through the telephone in Die Muskete, 1933.